All players must be league age eligible, as defined in the rules of travel league for the team they are being called to play for. Typically this is the players age of April 30 (for 12u and higher) and September 1st (For 11u and younger). This was updated in 2016 season by most travel leagues and tournaments to create a more level and "grade age eligible" environment for players. ​Complete the questions below and we will advise if your player is eligible for multiple teams. 2018 Travel Baseball Tryout Dates Results were announced for 8,9,10,11 12, 13 and 14. Below rules carry over unchanged for 2018. By applying to tryout you agree with these rules. Updated Information for 2018 Workouts coming soon - below is the 2017 training information. Winter Workouts may occur on Saturday or Sundays with various times. Every effort has been made to work around other Rec and Travel sports. Additionally Coaches will be selecting BP Cage times that work for the team schedule. These could occur on a weeknight or weekend to provide extra flexibility. The Mahwah travel baseball program is organized by Mahwah Youth Baseball, which is part of the Township of Mahwah Youth Sports Boosters (TMYSB). TMYSB and Mahwah Youth Baseball are all-volunteer groups that work with the township of Mahwah to provide an opportunity for youth residents to play baseball on local fields and facilities. Mahwah Youth Baseball is headed by a baseball commissioner who appoints a director to run the travel program. The organization follows the guidelines of the TMYSB. The travel program assembles teams of Mahwah residents, by age, for the spring and summer seasons. These teams represent Mahwah against travel teams from other towns. returning again for 2017 our youngest age group will be 8U. 2017 Travel fees are $429.00. The program also has teams at the 8U, 9U, 10U, 11U, 12U, 13U and 14U age levels. 1. The Mahwah travel baseball program is designed as a supplement to Mahwah Youth Baseball's recreation program. Any child who wishes to play travel baseball must play in the town recreational league. Failure to attend recreation games could result in removal from the travel team. 2. There are two seasons for travel baseball. The spring league runs from early April through early June with one game generally played on Sunday afternoons. The spring league is used primarily as preparation for the summer league. For the summer league, which runs from early June to the end of July, two to three games are played a week. in mid-July and can run through the end of the month of July. 4. It is expected that any player on a travel team will attempt to make most, if not all, practices or games, and if he is unable to make a game or practice will supply advance notice his coach. Although coaches will determine distribution of playing time, it is common practice that playing time is influenced by a player’s attendance at practices and games. 5. If a player in the Mahwah travel program plans to play on another team not affiliated with Mahwah, such as a club team, it is expected he make the Mahwah team the priority. If that commitment can't be made, it's suggested he not try out for the travel program. 6. Every age group may participate in a Memorial Day, or other holiday weekend tournament. Please check with your coach before making plans on a holiday weekend that could prevent a player from participating in a game or tournament. The Players selected for travel teams are chosen via a tryout in which a player’s skills are evaluated in the areas of hitting, fielding, throwing, and running. Tryouts are being held in December 2016 for the 2017 season. To allow for a proper evaluation of each player’s skills, the travel program will hold tryouts at a local indoor facility and may conduct at least one outdoor session, weather permitting. The PLAYERS AGE for team participation is as of April 30 (for 12u and older) or September 1st (11u and younger) of the respective year depending upon the league. Because this age cutoff date spans multiple school grades, players must identify the team -- 8U, 9U, 10U, 11U, 12U, 13U, or 14U -- for which they wish to be considered before the tryout. The player will be evaluated only for the team for which he selects. However, the league maintains the right to assign a player to a team which they are league age eligible, provided that the team is appropriate for their level of skills and ability as determined during the assessments. If you are unsure, please choose a level, and make a note in remarks and the Travel director will review it with you in advance of the tryouts. NOTE: ( Mahwah Rec uses the Grade Age, and Mahwah Travel uses Travel Baseball age (as of April 30 or December 31st depending upon the league age eligibility which has changed for some age groups for 2016). Most Mahwah players are encouraged to play with the grade, unlike many club teams that encourage players to "play down". Mahwah Travel Baseball uses an outside, independent facility, and assessments for our selection process. This makes our program unique, and is similar to the selection process at most "Club" teams, except that in our program the coach does not select their team. Travel coaches are selected after the team is selected, and as a result they do not choose their players. Travel coaches are provided with their roster. Coaches may not add to that roster at any time. 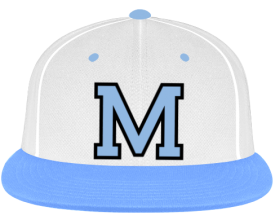 Team rosters will either be posted on the Mahwah Baseball Web site, or players will be contacted by the league once the final decisions are made. When a player is selected to play for Mahwah Travel Baseball they are assigned to a primary team. From time to time it makes sense for a player to be called to play a game on another Mahwah Travel Baseball team. The purpose is to provide additional backup to a team when that team is short at least one player, or begins a season with only 11 players (or less) on a roster. We will use the terms Primary and Alternate players. Primary roster players are assigned to a team as their primary team. Alternate roster players may or may not already be on a Mahwah Travel Baseball primary roster and may be called to play in a specific game for a Mahwah Travel Baseball team. Some players are league age eligible to play one age level down from their primary roster team, and in this case will automatically be added as an alternate player on lower age team roster. PLAYERS: Players will not be “called down” or “called up” when the full roster is available. Alternate roster players will not bat in the 1-6 spot. If a coach only bats 9 or 10 players when there is full 11+ man roster then the coach will make every effort to assure that the Alternate roster player will become one of the “switch / sub” batters, within league rules. Players report to, practice with and play with their Primary Roster Team. Players play on their primary roster team as first priority. Alternate roster players will only participate when invited. COACHES: Mahwah coaches can work together to share league age eligible players on an “as needed basis”. The request for players must initially be made between the coaches and not directly from the coach to the player or parents, unless the coaches have previously agreed to allow such direct communication. A coach is not obligated to add alternate players, or to call an alternate roster player. All Pitching must be approved by both coaches, and tracked / managed according to Mahwah Youth Baseball rules or recommendations. PARENTS: If a parent does not want their player to receive invites throughout the season they must inform the Travel Director, who will communicate with the coaches. Notes: all other Mahwah Travel Baseball rules and requirements apply. Costs: unless otherwise indicated there is no additional cost for a primary player (who has paid their season registration fee) to participate on another team as an alternate roster player. If a player was not assigned to a team as a primary roster player, and/or did not pay for the full travel season, or tournaments, then additional costs may apply. The coach cannot add a non-travel player to a roster without permission of the league. Coaches do not select Travel Players. Primary / Alternate Roster Rule (updated as of 1-5-2015) Subject to change. Parents are obligated to pay an additional travel registration fee if their child makes the travel team. The 2016 Travel Baseball costs have not increased over 2015 for 8u,9u and 10u. the 11u-14u teams are $10 higher. Prior season Registration Fess have run about $385 - $429 for the program. For reference, the 2014-2015 travel registration fee was $200 to 250, plus an additional $175 for indoor winter workouts beginning in January. The 8U program will be a lowers cost since it is winter training and spring season with one tournament. There is no charge for trying out. In addition, each player is obligated to pay for their own personalized uniform, which will be arranged through the travel director and respective team head coaches. Costs for the uniforms in the past have been $120. Costs, however, are subject to change depending on current prices. Financial assistance can be provided needed. Payments will be collected after the teams are selected. 2017 Travel fees are $429.00 at all levels. All levels for 2017 (8u,9u,10u,11u,12u, 14u) receive Winter Training, Spring Season, Summer Season and Two Tournaments. Travel coaches are chosen after the travel teams are selected. Coaching a travel team in a prior year doesn't guarantee a coaching position in the current year. Individuals who wish to be considered must submit a travel coach application form to the baseball commissioner. The deadline for the 2015 season for submitting the coaches application is December 1st, 2014. See the Mahwah Youth Baseball Web site, mahwahyouthbaseball.org, for a copy of the application and instructions on submitting the completed application. If more than one individual applies for a travel coach position, each applicant will be interviewed by a selection committee. This committee will consist of individuals determined by the baseball commissioner. The committee will have appropriate representation from the executive board of TMYSB. Upon conclusion of the interviews, the selection committee will choose the individual perceived to be the best overall coach, teacher, role model and leader of Mahwah’s youth for baseball. This selection will be made based on the findings in the interview and the coach’s evaluations from prior years, if available. Each head coach will then choose his or her own assistant coaches and submit those assistant coaches to the baseball commissioner for ratification. Note: If a travel team coach from the prior year expresses a desire to coach again and is the only applicant for the position, then he or she doesn't have to submit a new application. Prior year travel coaches will receive priority, but this does not guarantee a position or the selection of their player by independent evaluators. After being selected, the travel coach for the upcoming season will meet with the baseball commissioner and travel director to agree on objectives for the upcoming seasons. Coaches will be issued equipment provided by TMYSB and be responsible for returning that equipment at the end of the summer season. coaching decisions, they are encouraged to discuss them openly with the coach. If concerns still remain, parents are free to contact the travel director to discuss. If concerns still remain, the baseball commissioner can be contacted. For contact information, see the Mahwah Youth Baseball Web site. If the issue is still unresolved to the parents’ satisfaction, the commissioner will notify the TMYSB vice president of Coaches and Players (CAP) Committee. See the TMYSB Web site, www.tmysb.org, for contact information of the vice president of CAP. At or near the conclusion of each travel baseball season, evaluation forms for the travel coaches will be distributed to the parent(s) of each travel team player by a member of the TMYSB executive board, usually the VP CAP. Each parent will receive one form in which to evaluate the head coach and another in which to evaluate the assistant coaches. The VP CAP will organize the evaluations and provide a report to the baseball commissioner along with all noteworthy comments from the parents. Note: Mahwah Youth Baseball considers the completion and submission of coach evaluation forms to be a requirement for parents. The goal is to encourage interest in baseball for all travel baseball players. These evaluations help the organization identify areas that worked well for the players and areas that need improvement. For information about important dates, clinics and more, please refer to the Mahwah Youth Baseball Web site at www.mahwahyouthbaseball.org.